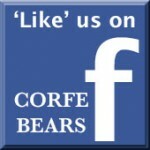 View other bears from Woollies. 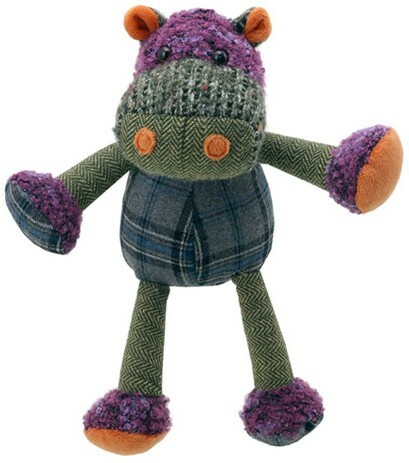 The Wilberry Woollies Hippo is part of the Wilberry Woollies Collection. This is designed from a mixture of both woolly and patterned fabrics and each character has its own individual style and personality. This colourful hippo is very eye-catching with its long multi-coloured arms and legs! Children will love looking at and feeling the herringbone, checked and striped materials, including his cute orange ears and nostrils. The different textures and bright colours are very stimulating and will encourage lots of playful fun! Tested to and passes the European Safety Standard for toys:- EN71 parts 1,2 & 3, for all ages. Accredited with the "Lion Mark":- This is a British consumer symbol used to identify toys denoted as safe and of high quality. Hand wash only. Do not tumble dry, iron or dry clean. Made from acrylic and polyester.